Lt. Col. Ahmed Ould Bouceif (Arabic : أحمد ولد بوسيف‎, 1934 – 27 May 1979) was a Mauritanian military and political leader. In April 1979, he seized power in a coup d'état together with Col. Mohamed Khouna Ould Haidallah and other officers, ousting Col. Mustafa Ould Salek from power. He became the 2nd Prime Minister of Mauritania in the new government. He was killed the following month in an airplane crash off the coast of Dakar, Senegal, at which point Haidallah emerged as the regime's main strongman. Col. Mustafa Ould Salek was the President of Mauritania from 1978 through 1979. The original inhabitants of Mauritania were the Bafour, presumably a Mande ethnic group, connected to the contemporary Arabized minor social group of Imraguen ("fishermen") on the Atlantic coast. Maaouya Ould Sid'Ahmed Taya is a Mauritanian military officer who served as the president of Mauritania from 1984 to 2005. Having come to power through a military coup, he was ousted by a military coup himself in 2005. 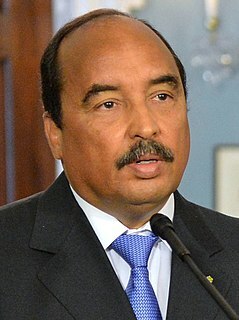 Prior to his presidency, he was the 5th Prime Minister of Mauritania. Moktar Ould Daddah was the President of Mauritania from 1960, when his country gained its independence from France, to 1978, when he was deposed in a military coup d'etat. Lt. Col. Mohamed Mahmoud Ould Louly was the President of Mauritania and Chairman of the Military Committee for National Salvation (CSMN) from 3 June 1979 to 4 January 1980. Colonel Ely Ould Mohamed Vall was a Mauritanian political and military figure. Following a coup d'état in August 2005, he served as the transitional military leader of Mauritania until 19 April 2007, when he relinquished power to an elected government. The Military Council for Justice and Democracy was the supreme political body of Mauritania. It served as the country's interim government following the coup d'état which ousted the President, Maaouya Ould Sid'Ahmed Taya on 3 August 2005. It was led by the former director of the national police force, Colonel Ely Ould Mohamed Vall. After seizing power it quickly pledged to hold elections within two years, and promised that none of its own members would run. A few days after seizing power, Vall named Sidi Mohamed Ould Boubacar as Prime Minister following the resignation of Taya's last Prime Minister, Sghair Ould M'Bareck. 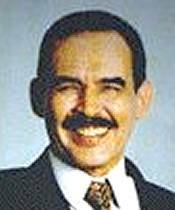 Sidi Mohamed Ould Boubacar was Prime Minister of Mauritania from 1992 to 1996 and again from 2005 to 2007. The Military Committee for National Recovery was a short-lived military government of the Islamic Republic of Mauritania after the coup d'état that removed long-time President Mukthar Ould Daddah on July 10, 1978, until a second coup on April 6, 1979. It was headed by Col. Mustapha Ould Salek. It was followed by a second junta, the Military Committee for National Salvation (CSMN). 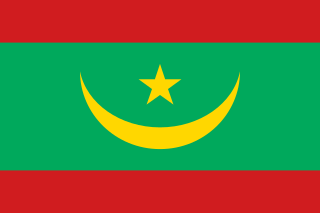 The Military Committee for National Salvation was a military government of the Islamic Republic of Mauritania that took power in 1979. It was installed by Mohamed Khouna Ould Haidalla, Ahmed Ould Bouceif and fellow officers, in an internal regime/military coup d'état on April 6, 1979, removing Col. Mustapha Ould Salek of the Military Committee for National Recovery (CRMN) from effective power. He was replaced by Mohamed Mahmoud Ould Louly in May 1979; Haidallah would later emerge as the main military strongman, and go on to assume full powers, only to be deposed by Maaouya Ould Sid'Ahmed Taya. The CMSN remained as an institution until 1992, when Taya introduced a multi-party system - he himself lost power only in 2005. The Alliance for a Democratic Mauritania was a Mauritanian clandestine opposition movement. Sid Ahmed Ould Bneijara was the 4th Prime Minister of Mauritania from December 12, 1980 to April 25, 1981. Mohamed Ould Abdel Aziz is a Mauritanian politician who is currently the President of Mauritania, in office since 2009. A career soldier and high-ranking officer, he was a leading figure in the August 2005 coup that deposed President Maaouya Ould Sid'Ahmed Taya, and in August 2008 he led another coup, which toppled President Sidi Ould Cheikh Abdallahi. Following the 2008 coup, Abdel Aziz became President of the High Council of State as part of what was described as a political transition leading to a new election. He resigned from that post in April 2009 in order to stand as a candidate in the July 2009 presidential election, which he won. He was sworn in on 5 August 2009. The Manifesto of the Oppressed Black Mauritanian was published in April, 1986 by the African Liberation Forces of Mauritania, a paramilitary group which promoted the rights of the oppressed Black African majority by Arabo-Berber minority in Mauritania. The manifesto details the racial discrimination against the Black African majority by the Arabophone minority in Mauritania. It encouraged the black majority of Mauritania to overthrow the military junta installed by Mohamed Khouna Ould Haidallah and establish an egalitarian regime. The High Council of State was the supreme political body of Mauritania. It served as the country's interim government following the coup d'état which ousted the President, Sidi Mohamed Ould Cheikh Abdallahi on August 6, 2008. It was led by General Mohamed Ould Abdel Aziz. 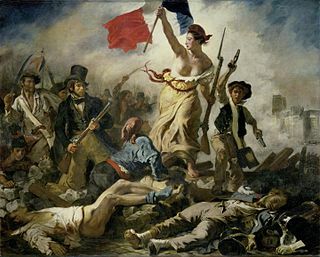 After seizing power it quickly pledged to hold elections "in the shortest possible period". A few days after seizing power, Abdel Aziz named Mauritanian Ambassador to Belgium and the European Union, Moulaye Ould Mohamed Laghdaf, as Prime Minister. Ahmed Salim Ould Sidi was a Mauritanian military and political leader and acting Prime Minister of Mauritania between 28 and 31 May 1979. This article about a Mauritanian politician is a stub. You can help Wikipedia by expanding it. This biographical article related to the Mauritanian military is a stub. You can help Wikipedia by expanding it.